Meet Vladimir Jaffe, Small Business man, Tea Partier And Former Soviet who Confronts Occupy wall st. protesters with the truth about Socialism. I Posted this yesterday and took it down because it’s disgusting. WARNING: Hippie Commie Progressives are disgusting! Roseanne Barr is a comedian… (This clip is so funny) or not. but only if your richer than her. Behold~The Greatest School Teachers in the World! What won’t Barack Obama do to our Allies? The US, under a nuclear deal, has agreed to give the Kremlin the serial numbers of the missiles it gives Britain. VS. 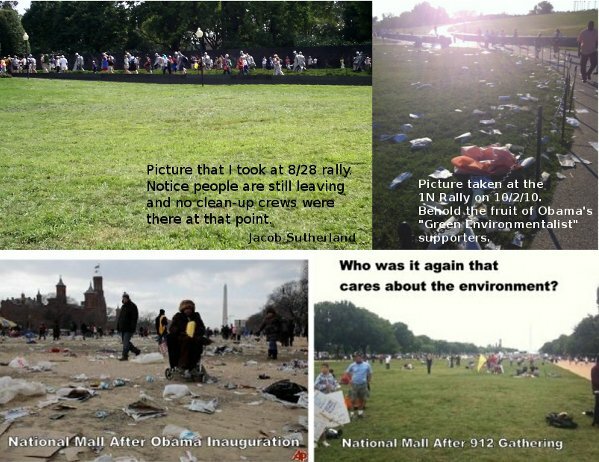 The Obama Inauguration (bottom left) and the 1 Nation rally 10/02/10 (top right).